A typical afternoon in the park turns into a nightmare for single mom Karla Dyson (Academy Award® winner Halle Berry) when her son suddenly disappears. Without a cell phone and knowing she has no time to wait for police help, Karla jumps in her own car and sets off in pursuit of the kidnappers. A relentless, edge-of-your seat chase ensues, where Karla must risk everything to not lose sight of her own son. In this tense, action-fueled thriller, directed by Luis Prieto and from the producers of Salt and Transformers, one mother's heroic attempt to take back her son leads her to ask herself how far she will go to save her child. 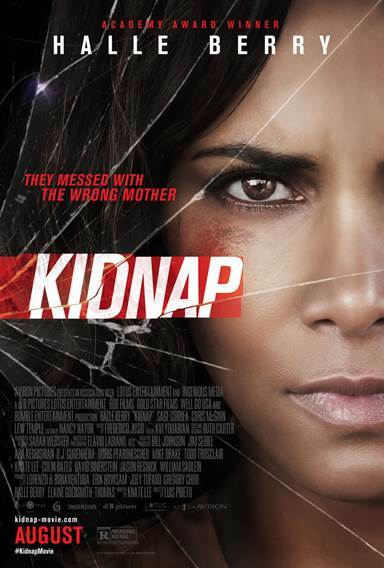 Download Kidnap in Digital HD from the iTunes store. Kidnap images are © Relativity Media. All Rights Reserved.